Game changer, I’m all in! 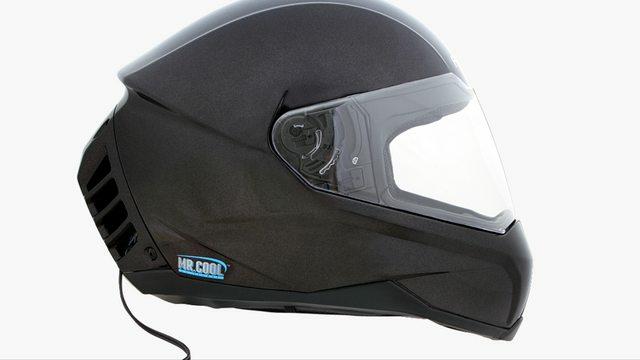 The Feher ACH-1 is the world’s first self-contained air-conditioned motorcycle helmet available to the public. The patented full-face ACH-1 evenly distributes filtered, cooled air freely across the top of the head, cooling it by as much as 10-15 degrees from the ambient temperature. This provides a far more comfortable riding experience in warm weather. How does the air conditioning system work? The Feher ACH-1 utilizes a patented and field-proven technology that is used to cool the seats in vehicles built by Rolls-Royce, Bentley, Ferrari, Infiniti, Lexus, and GM, just to name a few. It applies thermoelectric technology in combination with Feher’s patented Tubular Spacer Fabric to evenly distribute filtered, cooled air freely throughout the interior of the helmet. How much cooler will the Feher helmet be than my regular helmet? The Feher ACH-1 helmet is not designed to give you an “ice cream headache” or create a cooled environment around your face like when riding in a car. It is designed to reduce the interior temperature around your skull during hot rides compared to using a traditional helmet. That temperature variance will be more significant in higher temperatures and can be up to ten to fifteen degrees cooler. Keeping your head cooler will make your body feel less impacted by the heat and make for a more comfortable ride in hot conditions than riding with your regular helmet. What powers the Feher air conditioning unit? 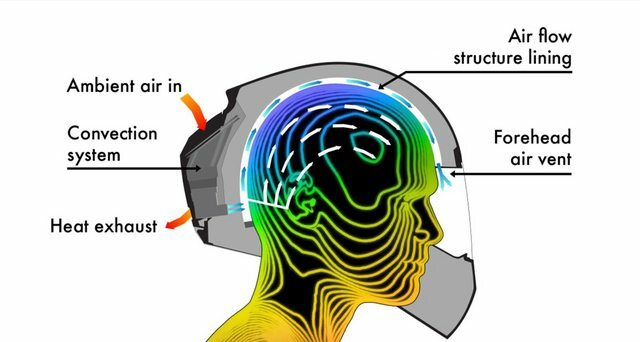 The Feher helmet is powered by your motorcycle battery. It comes with the necessary harness to connect to the battery and a quick disconnect cord with a switch. It is also possible to power the unit with battery packs that can be purchased separately online. This is an example from Talentcell. What's the crash rating? couldn't really find it. Good enough for me. Game changer on those afternoon end of work rides back home. Or the bike nights. , even endurance racing! Not sure, says it plugs into motorcycle. I imagine much like a battery tender. Says you can buy a seperate battery supply. It's not the first. Shoei had one in the 90s that used convection. Supplying avatars to MH track guys since 2008.